In the human condition stress takes an incredible toll on our mind, body, and soul. The stress hormones released into our systems are triggered every moment by our thoughts alone. If our thoughts go unregulated, we can very easily lose control. It can make us feel removed from what is happening around leaving us isolated and feeling alone. This happens all of the time in our daily life and is intensified when someone we love dies. When we receive the news of a death, there is an instantaneous mental reaction of disbelief. It is our first reaction to loss. It has been called the “Unguarded Moment.” You never know when it will come and rarely are you prepared for it. Even I, who is well versed and accustomed to receiving the information, when hearing the news for the first time will find myself speaking the words, “I don’t believe it.” It is human to experience shock when we hear the news, and shock takes its toll on us. Some shock can take days or years to recover from. Imagine the news of your 19-year-old son being tragically killed in a late night car crash with friends. Imagine the sudden loss of your son taking his own life. Imagine hearing the most horrid news you can imagine. In that moment, and for many moments after, your brain and your body will just shut down. Like a computer on overload, it will crash and burn, it will cease to function as normal. It will happen to all of us. The second reaction after hearing the news of a death is the need to share it with someone. There is a need to share with others, to process and confirm the information. After receiving the information, I will typically reach out to my wife Nancy and tell her or anyone else who might be around. The need to share attends to the brain’s need to qualify and process the data, and to verify our reality. It will appear in emails, Facebook, Twitter, and all of the social media possibly moments after the event. In accident cases, some families report hearing about it on social media even before the call from other family members or the police. The need for a family to tell the story is as old as time itself, and has some very significant healing affects. The third reaction, or need, is to visually confirm the data. Once again, the brain and its infinite desire to figure everything out will want to see the evidence. There is a very strong fear or concern to experience this. 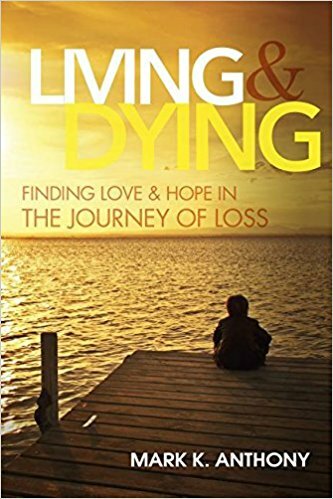 If you are in active grief and especially if it has been a sudden or unexpected death you will find a stronger need for this. During the past few days we have been experiencing these three reactions to loss in the death of the students in Broward County both internally and on TV. While it is is difficult and challenging it is important to remember our human reaction is normal and helps lead us towards healing. We want it to be easier and we want bad things to stop happening. We blame and yell and cry because it hurts. Wow Mark. You have expressed what I have felt since learning that my friend died. Thanks for putting into words what I have been unable to. Thanks for your thoughts Betsy, I’m glad you found it helpful. Have you been able to order my book?